In all my years of mentoring student teachers, there have been two things I have always addressed first: getting control of the classroom and establishing routines. I never received direct instruction on these two things during my own student teaching, and it started me off at a great disadvantage. Most good teachers I had observed were able to get order quickly and follow through with a lesson seamlessly. Nevertheless, it did not work that way for me! I was very ill-prepared to control a classroom of sixth graders, and it ruined my first year. In this post I will tell you exactly how I demonstrate for my student teachers how to get control of the classroom. 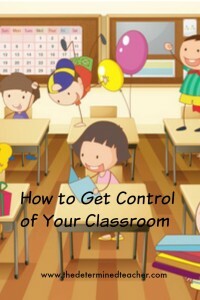 In the next post, I will explain how to establish good classroom routines which will set the tone for the entire year. Move to the front center of the room. Do not stand behind a teacher’s desk or podium. Wait for 100% compliance. If you notice Susie, shuffling around with her belongings, use her name in your next sentence. Do not scold her (yet). Simply say something such as, “Susie, we are going to collect picture money first thing. Did you remember your picture money?” Or, “Today we are going to be looking at amoebas under the microscope. Susie, have you ever seen an amoeba?” If talking begins in another area, look straight at the offender(s) and pause with the expectation that you know the person(s) will stop talking. Do not act annoyed, upset, or frustrated. Repeat your request with a firm tone. If the offender does not quit talking, continue your directions while walking over and standing by the disruptive student–again, using his/her name in your introduction to the day’s activity. At this point, most students will be listening. Continue to walk around while giving directions (if possible). It also helps to have something VERY interesting on tap! Give them a reason that they want to be quiet and listen. Most importantly, DO NOT RESPOND TO STUDENTS WHO BLURT OUT QUESTIONS OR COMMENTS. Extinguish this behavior by totally turning to a compliant student who has their hand raised and say, “Thank you, Owen, for raising your hand. Do you have a question?” The talker will be indignant that you ignored him/her, but watch–you will find that they will raise their hand, too. Be sure to call on that student ASAP. That reinforces good behavior and reassures them that they will be heard. Practice, practice, practice. Waiting can seem eternal sometimes, but establishing order early on is completely worth it! If you find that these strategies are still not working for you, contact me and I can work with you on how to improve your classroom control! Hi. 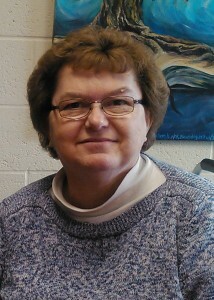 I'm Cathy Barnes, and I am a veteran teacher with over 30 years of teaching experience. If you need fast, friendly help in your first years of teaching, you've come to the right place. I have solutions to the most common problems faced by new teachers early in their career--everything from "What do I do first?" to "How will I ever keep up this pace?" Thanks for visiting!